I will never forget those days when I used to see sesame bars, for sale, at the farmers market, when I went to the mountains with my grandparents. What a feeling! Beautiful times, beautiful years, true joy! Those bars were incredible tasty and I felt like I was in Wonderland… just like Alice. 😀 I was jumping all around because I was very happy that I could find and eat sesame bars in my vacation at the mountains. I didn’t had any clue, that those same sesame seeds , that I used to love as a child, would become, after years and years, a topic of study for me. 😀 Well this is life…unpredictable. My friends, these seeds are nature’s marvel. They contain a variety of nutrients and they can be used in all possible and impossible recipes that you can think of. 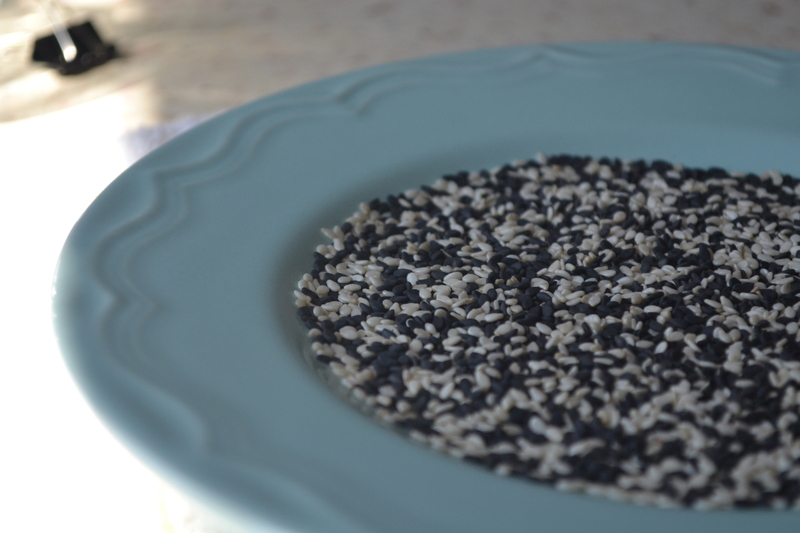 You can use sesame in main dishes, but also in tasty and healthy desserts. But what struck me the hardest was the calcium content that sesame has. We all look for calcium intake, from corner to corner…and here it is. Just around our eyes… like all cool things are. I want to mention the fact that the above data refers to whole sesame seeds, paddy, in their whole state. 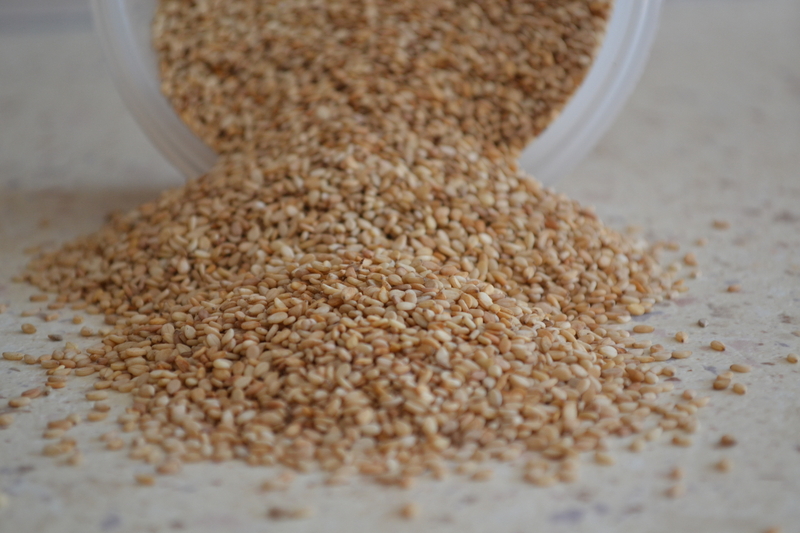 If we buy hulled sesame seeds, the quantity of calcium will decrease significantly. I am not expecting anyone to eat every single day ¼ cup of sesame, but that doesn’t mean that we can’t introduce these seeds into our diet in smaller quantities. Our human organism is very smart and it will extract the calcium from many other sources too, including sesame seeds and it will know what to do with it, how to utilize it, how much it needs and so on and so forth. The human body is a spectacular creation that can calculate nutrients versus needs in a really smart way, even better than a computer. Nutrient utilization is not our concern, but it’s our body’s concern. Now don’t make out of this a big deal. 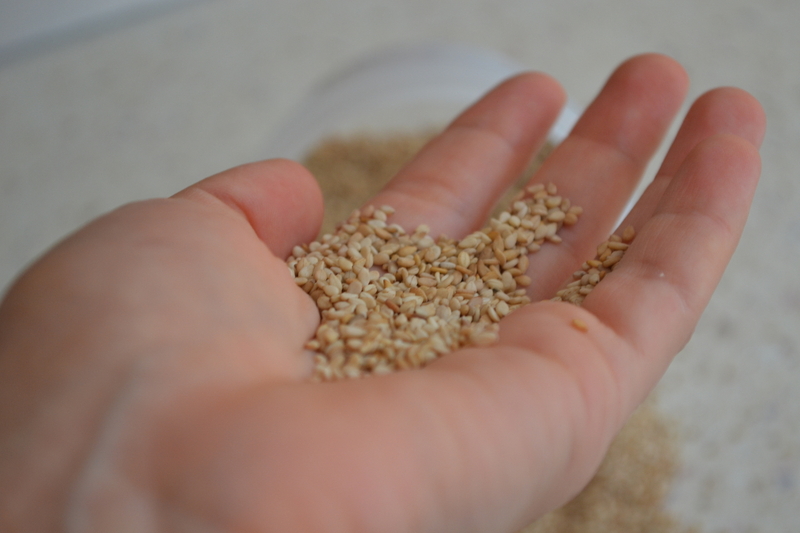 Eat sesame seeds as you wish and love, you can even make milk from the seeds. I need to know can we consume sesame seeds with jaggery by making ladoo with cow’s milk as daily breakfast along with other nuts like almond cashew . As far as I know if you consume a diet full of plant based foods ( fruits, veggies, starches, legumes, seeds and nuts, fermented beverages, etc) you will get all your necessary calcium and iron.